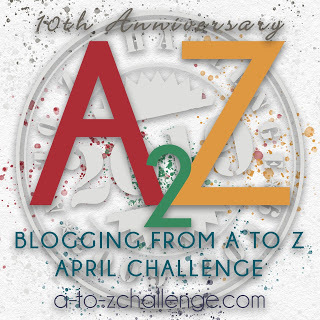 It is the second day of the Blogging from A to Z April Challenge. Ross is only a few years older than me, 4-1/2 to be exact. But sometimes it seems like we are a generation apart. He has knowledge of and interest in music, books, movies, etc from a time before he was born or at best he was just a child. For example, if he gets control of the remote, he will flip over to TCM - The Turner Classic Movie channel. It seems like whatever movie is playing happens to be his all time favorite. Wait a minute what am I saying, he is a man, he always has control of the remote! He knew them all and the year they were made. 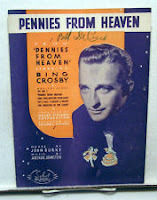 We dabble in the antiques and collectibles business. 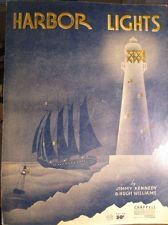 One time we picked up a box of old, old sheet music. He knew the words to many of the songs. He comes from the small town of Nyack, New York, as do several generations of his family. He is quite comfortable and knows his way around New York City. But, most of the places he talks about are no longer there. I call them the Use2b’s. Some of the slang words and phrases he uses are unfamiliar to me. A person who talks at great length without making much sense. Foolish talk; nonsense: "politicians get away all the time with their blatherskite". Even though, at times, Ross can blather with the best of the skites, (AKA BS’ers I guess), his extensive knowledge of an incredibly varied number of subjects is certainly not trivial, is never foolish, and is always impressive! Besides, how else would I ever have known that Rosie O’Donnell once lived in Nyack in Helen Hayes’s old house? That Ross! What a guy! This is just one more indication of what a treasure you have there. You can tell him I said so! Yes, it is true, Ross is quite unique. I’ll make sure he sees your comment. He’ll like it! I love that word. I'm going to use it on my husband tonight. Hahahahahaha! LOVE it! That's exactly how my husband talks. LOL This was a great way to start my day. Thanks! That’s funny that your husband speaks that way too. Blatherskite is a fantastic word! I will have to see about using it sometime in the next week :) Fun post! That's a new word for me. Never heard it before! It's quite a mouthful too! I'm popping in from the A to Z Challenge. Glad you enjoyed the post. I have to admit there are some neat movies on TCM. I will come by your place for a visit. What a fun new word to learn! Thanks for sharing. And yes, men seem to believe testosterone is required to work - or even hold - the remote. It’s so funny to watch him when the remote is not within his reach. And of course the flipping through the channels is also a must! I am having fun with the challenge so far. That would be cool if you used blatherskite in one of your stories. That’s funny! Maybe I will get Ross a blatherskite T-shirt for his birthday.